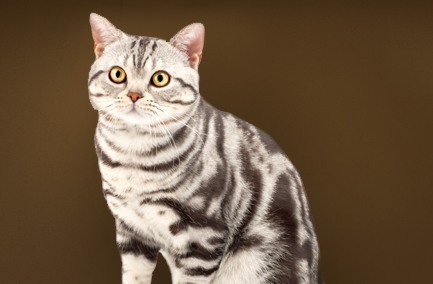 Coat colours: Blue-Silver, Red Tabby, Red Mackerel Tabby, Brown Tabby, Blue Tabby, Cream Tabby, Tortoiseshell, Tabby and White. These cats are easy-going and adaptable. They are generally healthy, with very rare inherited concerns. Their dense coat is known to shed quite a bit.